The D7200 is Nikon’s APS-C camera of pro series, equipped with a 24.2MP CMOS sensor and Multi-CAM 3500DX II 51-point AF system with ISO ranging from 100-25,600. Being the top DX-format DSLR camera in the list of Nikon productions, it lets you upgrade to a new level of photography. It is capable of producing 1080/60p video and spectacular image quality with high contrast and sharpness levels. Armed with the new EXPEED 4 Image Processing engine. Many people confine themselves to the Nikon 18-140mm f/3.5-5.6 VR kit lens, which is indeed a good option but not a better one. With the advancement in lens technology and proficiency of photographers, users tend to purchase lenses as per the type of photography they desire. In this scenario, hallmarks of each Nikon D7200 lens are utilized to the maximum, hence picture quality to the extreme level is achieved. Few of the many finest lenses for Nikon D7200 DSLR have been discussed here, focussing on the hallmarks and specifications they own. 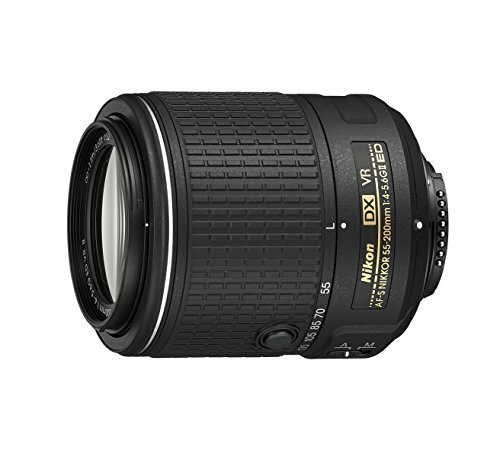 The Nikon 18-140mm ƒ/3.5-5.6 is the stock lens which comes with the D7200 DSLR camera usually known as a kit lens. Not only available with D7200, this lens comes as a kit lens with Nikon D5xxx and D7xxx series as well. It is an excellent all-around performance Nikon D7200 lens which lets you capture sharp, exciting image center. A little lighter than its predecessor 18-105mm f/3.5-5.6G ED VR but equipped with a wider zoom range. Effective in-built image stabilization lets you get rid of blurry images. In a reasonable price range, it offers a well-sealed body, resistant to dust and moisture. As a kit lens, it offers more than expected as far as image quality, build and advanced features are concerned. 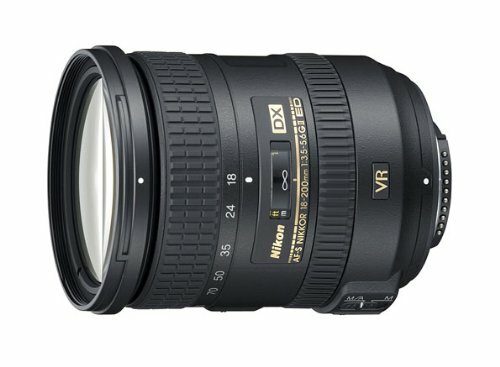 Being master of all trades, Nikon 18-300mm f/3.5-6.3G ED VR is a spectacular choice for any pro photographer. Capable of capturing almost everything with appealing results, this lens beats the show. Vibration Reduction technology lets you say goodbye to blurry pictures and enables you to shoot like a pro! Nikon’s Silent Wave Motor (SWM) autofocus technology lets this Nikon D7200 lens to focus in a jiffy with precise results. The three extra-low dispersion (ED) glass elements enhance the sharpness and contrast of images captured. An all-in-one choice for Nikon’s D7200 DSLR that lets you capture everything. 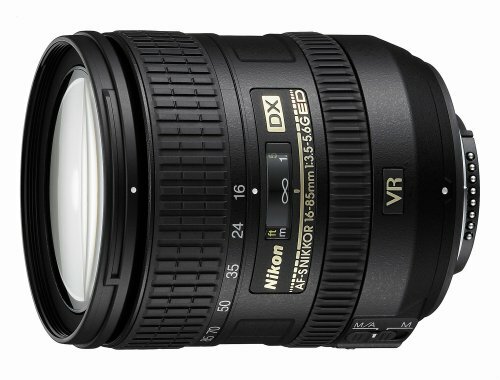 The Nikon 18-200 mm f/3.5-5.6G DX VR II is a successor to the previous version of the Nikon 18-200 mm and has kicked off its sale in 2009. An all-in-one image quality. Body is compact and made of plastic equipped with a metallic mount. Vibration reduction (VR-II) sensor provides excellent image stabilization even when a shot is taken without a tripod. Nicknamed as Holiday Zoom Lens, it provides a large zoom in range with a very sharp resolution in the image center. However, at most focal lengths, corner resolutions are somewhat average. A perfect choice for travel, where you can take impressive shots of landscapes, athletes, and kids while playing. 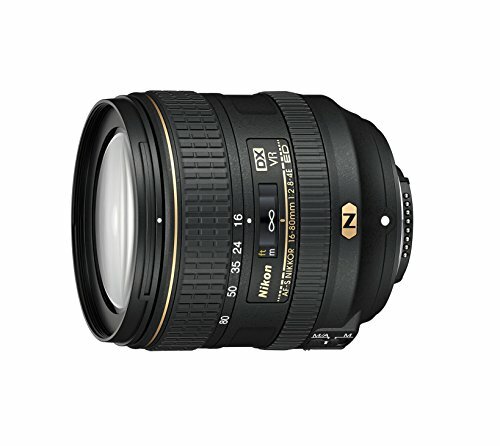 The Nikon 10-24mm f/3.5-4.5G ED is a wide angle lens, made specifically for professional photographers who love to shoot landscapes. It offers a pretty large angle of view ranging up to 109 degrees. This lens is equipped with internal focus technology along with Silent wave motor (SWM) for quick autofocus. Sharpness and contrast levels of captured images speak of its quality and reliability when coupled with correct apertures. This Nikon D7200 lens offers a zoom range equivalent to 15-36mm on a 35mm camera, which is pretty much a decent figure. Molded into a compact shape, it is built in a black matte hard plastic with a metallic mount. As a perfect ultra-wide zoom, the Nikon 10-24mm f/3.5-4.5 renders a perfect image resolution, an impressive angle of view, quick focus and sharp images. A great companion for travelers for capturing breathtaking landscape shots. The new Tokina 11-16mm f/2.8 DX II is an ultra-wide angle lens with a f/2.8 aperture, which many photographers consider a must for any lens to be used with Nikon D7200. It comes with no image stabilization, however, aperture of f/2.8 and its focal length of 11-16mm will rarely call for image stabilization requirement. The DXII version is equipped with long-awaited autofocus motor to keep up with almost all models of Nikon. Armed with an angle of view of 104-84°, it can focus up to 11.8″. Sharpness levels of this lens are impressive with high optical quality and center resolutions. Built seems solid with a rubber texture over the plastic body. The zoom ring is perfectly-sized and well-positioned on the lens. Overall, it is a good choice for D7200 lenses when you are a wide angle lens buff. 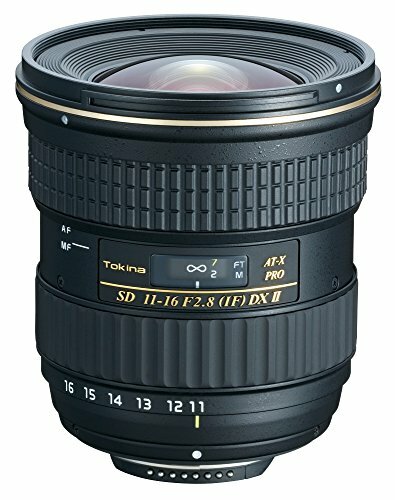 However, if you don’t consider AF motor an essential feature in a lens, Tokina 11-16mm previous version can be a cheaper choice for you. 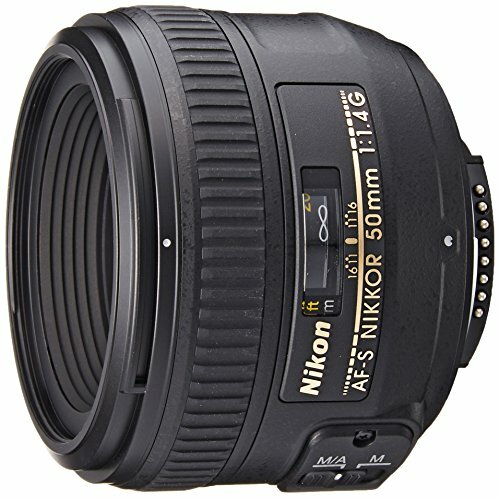 A little hefty in weight and price but spectacular in performance, Nikon 17-55mm f/2.8 G offers pretty much in lenses of the similar price range. In spite of its heavy construction, it fits well on Nikon D7200 body. Armed with a weather sealed body is a great plus when we talk about best walk around lens for D7200. A very silent and accurate autofocus motor enables to focus well even in low light environments. The angle of view for this lens ranges from 79 degrees to 28 degrees 50 minutes and is perfect for landscape, indoors and portrait shots. The Nikon D7200 lens is well molded into a sturdy plastic body where zoom and focus rings are very well placed, smooth to use and perfect in operation. Image quality is remarkable, and even while operating at an aperture of f/2.8 in the corners, Nikon 17-55mm does not let you down. 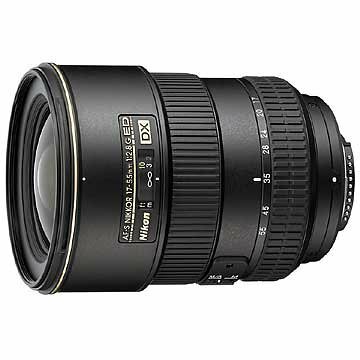 Nikon 16-80mm f/2.8-4 though comes as a kit lens in a few Nikon models, it serves as7200 DSLR as well. Equipped with a 5x zoom capability and pretty decent Angle of view of 83 to 20 degrees, it works as a great companion to be carried along. Built-in autofocus motor makes it convenient, fast and accurate to focus. Minimum focusing distance remains at 13 inches which are again an impressive figure. The SWM (Silent Wave Motor) makes the operation quiet enough, and in-built VR helps efficiently in image stabilization. Image quality and sharpness levels remained impressive. When mounted on D7200 body, this lens makes you feel that sensors and performance are at its acme. 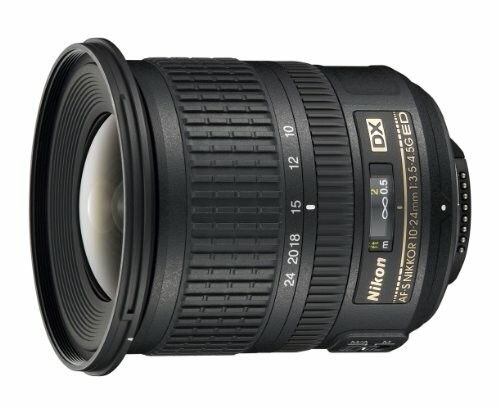 If you are looking for a mid-zoom range, high-performance lens, Nikon 16-80mm f/2.8-4 VR can be your perfect mate. 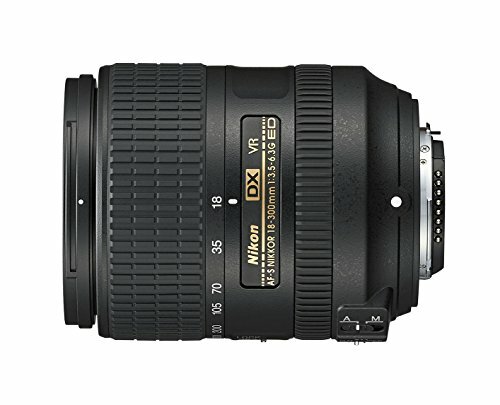 The Nikon 16-85 mm is an all-purpose lens with very convenient zoom range. The lens comes with a compact body designed perfectly to be used on DX bodies. An ideal all-purpose or walk around lens for Nikon D7200 DSLR that has been introduced as a wider zoom range choice. In-built image stabilization in the form of VR second generation works smoothly and flawlessly. Image quality remained remarkable with great sharpness levels at almost all focal lengths with low distortions and chromatic aberrations. Price is a little hefty as compared to other competitors but this time Nikon has produced a lens which has no particular weakness. Even at a lowest focal length of 16mm, the lens is quite impressive. Overall a great walk around choice for Nikon D7200 DSLR with exuberant features and image quality. 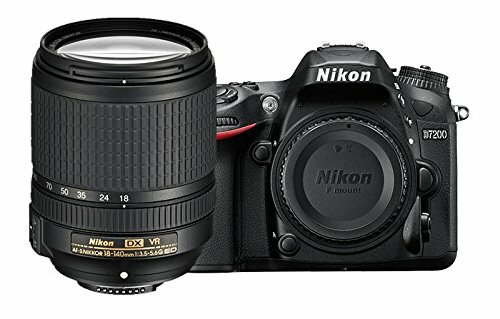 If you are looking for a Nikon D7200 lens able to render spectacular images, super sharp quality, Nikon 35mm f/1.8 mounted over Nikon D7200 is the perfect choice one can make. Equipped with a fixed focal length where you have to make use of your feet to capture the right image area, but surprisingly sharp and lets you capture perfect low light shots. This lens comes with a remarkably shallow Depth of field (DOF) which lets you achieve a perfect bokeh effect. Fast and accurate autofocus with Silent Wave Motor (SWM) lets you focus in the easiest and fastest way possible. The maximum angle of view offered is 44 degrees. Overall, this is the type of lens that would never let you down if image quality is your trait and zoom is of no value. The Nikon 50mm f/1.4G is a lens of a professional class made for capturing high-quality images for everyday photography. Its great optical design and larger aperture of f/1.4 as compared to Nikon 50mm f/1.8, lets you have lar images in a low light environment with great Bokeh effect. Autofocus is equipped with Silent Wave Motor technology (SWM) for quick and accurate focus with effective focus capability up to 1.5 feet. The maximum angle of view of 31.5 degrees, which is a little less than the competitors of this class, however, Nikon justifies this by its remarkable image quality. Highly recommended for professional portrait shooters, this lens does its job in a befitting manner possible. No questions asked about sharpness levels and image quality, the only limitation remains with the zoom capability but it’s the trait of this Nikon D7200 lens, and this is how it is supposed to be! If the target subject of photography is a closer, non-moving object, Nikon 40mm f/2.8 can serve as a great deal lens. It serves as both general and macro lens aimed to capture still objects at a closer range. The sharpness and the contrast are excellent in the center and in the corners. The results come with no distortion at all and no color errors. Small in size, easy to carry which allow photographers to get 1:1 magnification. The lens comes with SWM (Silent Wave Motor) for quiet and accurate focusing and Super Integrated Coating (SIC) for lesser lens flare. It can focus objects as near as 6.5 inches and the angle of view offered is 38 degrees 50 minutes. Although named as an intro Macro lens, when coupled with Nikon D7200, this lens serves the purpose well beyond expectations. Nikon has a lot to offer when it comes to shortlisting the best Macro lens for Nikon D7200 DSLR. 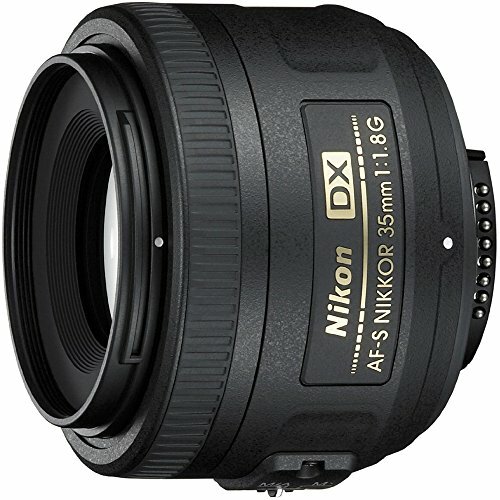 The AF-S DX Micro-Nikkor 85mm f/3.5G ED VR serves as one of the best considerations on the list. Although a little weak contrast is experienced at close distances, it is considered as an excellent macro lens. Overall sharpness remains at a decent level, and image quality is remarkable. The VR image-stabilization works perfectly well and lets you have stable images of your interest. However, focusing is something that highlights its grey area. The Nikon D7200 lens is a bit slow and averages in focus. Overall, it is Well- sized, lighter and inexpensive lens that fits perfectly onto D7200 for Macro shots. 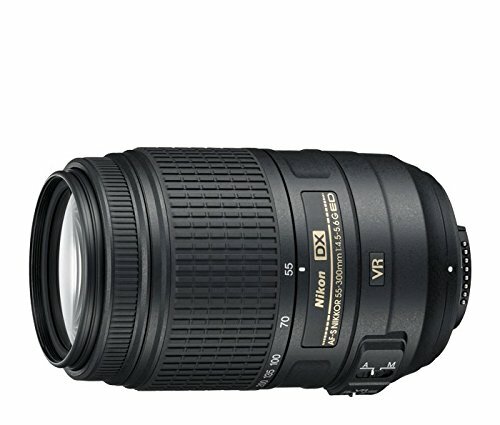 Nikon 55-200mm f/4-5.6 VR II is an excellent choice for a telephoto zoom lens, which never lets its users down when it comes to portraiture, traveler, kids or wildlife photography. When mounted on D7200 DSLR, this delivers sharp and impressive pictures under all conditions. In-built SWM (Silent Wave Motor) which ensures quiet and fast autofocus while VR (Vibration Reduction) generation II lets you shoot even with the glitches of hand vibrations. The lens is equipped with Extra-Low Dispersion (ED) glass in order to minimize optical distortion, while Super Integrated Coating (SIC) reduces lens flare to make pictures more vivid and high contrast. Minimum focus distance is 1.1 m which is a decent figure for this class and type of lens. Overall, this Nikon D7200 lens is a win-win type lens for telephoto users with impressive image quality and performance. 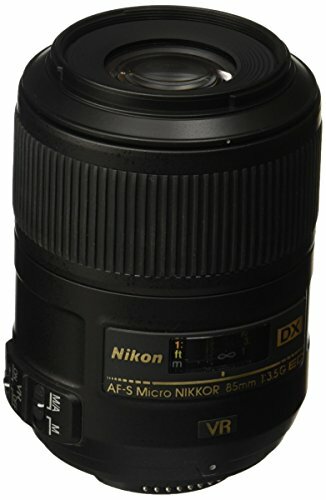 The Nikon AF-S DX Nikkor 55-300mm f/4.5-5.6G ED VR is a 5.5x telephoto zoom lens which features a built-in AF motor, Vibration Reduction generation II and Extra-Low Dispersion (ED) glass. The Nikon D7200 lens is made of hard plastic ensuring lightweight while optical elements are made from high-grade glass. The minimum focusing distance is rendered as 4.6 feet which is not a good figure, but for telephoto, it is acceptable. It offers 5.5X Telephoto Zoom ideal for capturing distant moving objects like playing kids, flying birds and athletes. The maximum angle of view is 28 degree 50 minutes, comparing it to wide angle lenses will not be a fair deal. It’s a perfect and a reasonable choice for those who wish to continue with D7200 DSLR and explore its potentials trying variety in Nikon D7200 lenses. DSLRs are purposely made to be used with detachable lenses because the potential of photography is not limited to camera body but the Nikon D7200 lenses attached to it. The right lens can transform an ordinary shot into an everlasting memory. The lens of a DSLR needs not to be changed until you want them, in order to render desired results. This dictates good understanding of basic traits, potentials, and types of Nikon D7200 lenses before making up your mind to buy a specific lens. The focal length of a lens is expressed in mm and higher the number, larger the zoom and vice versa. If the lens offers a range of focal length, it means it has the capability to zoom, whereas, if focal length better optically as compared to zoom lenses. The aperture, sometimes also called the f-stop number, allows you to control the amount of the light that enters the lens. The lower f/stops give more exposure to light as they characterize larger apertures, whereas the higher f/stops give less exposure as they denote smaller apertures. Value of aperture affects shutter speed as well, so you need to be clear about aperture settings. But, if you have no idea how to deal with the f/stops, let the camera set it for you in auto mode. While making a selection of lens for your camera, be very much sure about the focus technique you desire. Few latest models are equipped with AF motor (Canon’s Ultrasonic Motor or Nikon’s Silent Wave Motor) for faster and accurate focus without making any noise. Such Nikon D7200 lenses are becoming the first-hand choice of pro photographers. As a general rule, build quality of a lens is directly proportional to the price range. When you put in extra bucks, you get better grade plastic, glass coatings for enhancement of image sharpness. Mount of lenses is mostly kept metallic for better balancing and grip. Few expensive Nikon D7200 lenses also come with weather sealing for enhanced protection in the rainy season, dust and extreme temperatures. Decide the trade with your pocket and choose the best one for you. Not every time you carry your tripod along during outdoor trips, and sometimes you suddenly come across a scene you wish to capture. In such case, you definitely need image stabilization in your lens. Slight shake while taking a picture will not destroy your image. Vibration reduction in Nikon and Image stabilization in Canon are few examples. A standard lens is a general-purpose lens that captures images closer to what our eyes see. It serves as a great everyday use lens, and the best example of this type is the kit lens which comes with the camera body. It is recommended for beginners, portraits and everyday photography. A wide-angle lens extends the angle of view and captures a near panoramic image of sceneries. As an inbuilt feature, it highlights the subject and makes the background appear distant. Wide-Angle lenses are highly recommended for landscapes, buildings, and interior shots. The telephoto lens tends to bring the subject closer and makes it appear sharper. It is therefore capable of capturing close-up photographs from quite a distance. This type of Nikon D7200 lens is recommended for landscapes, wildlife, sports events or playing kids. Macro lenses have the capability to focus on small objects using closer than usual focusing ability. It comes with fixed focal lengths and is recommended to be used to photograph fine details, flowers, insects, etc. 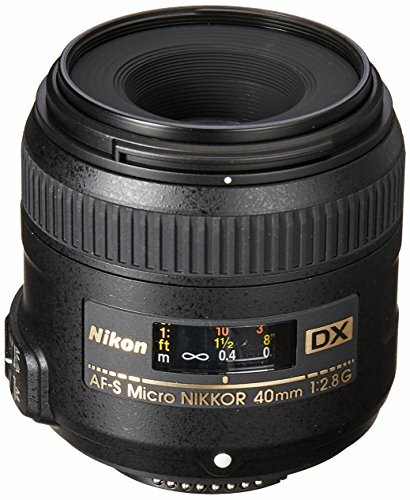 Any Nikon D7200 lens that has an appropriate focal length and aperture and is capable of capturing portrait images can be referred to as portrait lens. There is no specific portrait lens; any lens with focal length ranging between 70-135 mm and moderate wide aperture can serve as a good portrait lens.